Whether one’s convictions are adept or absurd, however, one must accept the incontrovertible fact that although one is free to write in any style or manner one chooses, this choice has consequences. Linguistic anarchy is inimical to language, by virtue of the fact that language, as a form of communication, is essential to family, to society, to civilization. Just as abiding by rules of personal and community conduct (the latter extending in scope from the smallest village to the United Nations) helps protect the fragile coexistence of humans, adhering to guidelines for language use enable at least sizeable blocs of humanity to agree on common signals for cooperation (or conflict). Language evolves, constantly and relentlessly, but precepts and attitudes about it prevail for a time before they slowly respond to changes in usage. Therefore, for example, though one of the correspondents I referred to above is correct that the period following Ms. is not logically justified — and that for that reason, early in the term’s life span, many writers omitted the punctuation — it is now standard, for the sake of consistency, to treat Ms. the same as Mr. and Mrs. One’s gender and gender politics are irrelevant: Those are the facts, ma’am — er, ms.
Do you write simply for pleasure, or to share your thoughts and ideas with a small coterie of readers? Do you self-publish, whether in print or online? Knock yourself out — you are hereby granted a dispensation to write in any fashion that pleases you and anyone who chooses to read your work. You are akin to a homesteader or a survivalist, staking out your own terrain on your own terms — and accepting the terms that go with those terms. 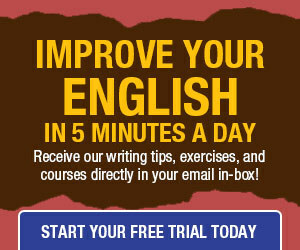 But if your intent is to identify yourself as a professional writer — or if your employment status is predicated on the fact that your writing is intelligible to your colleagues and perhaps even consistent with distributed guidelines — certain standards apply, and your ability to adhere to those standards is inextricably linked to your professional success or survival. If that’s fascist, then I proudly represent the New World Order. I don’t mean to get all serious on you. I respect the point about the unpunctuated Ms., and for all I know, the comment about the “rule book” may be a goof. But both comments inspire this tip: When it comes to composition, let your unfettered freak flag fly. But if you submit the flag to be unfurled atop a highly visible flagpole, expect it to be redesigned to suit that flagpole — or to be refolded and respectfully returned for you to do with what you wish. “Ms.” has been established as standard English for quite a while. It is impossible to know the marital status of every female client that we work with. If I didn’t use this part of standard/business English I would soon be shown the door. I’ve been wary of the standard of my written English ever since. I like this because it addressed some feeling I had that were especially on point, the day I got on ebay and bought a copy of the Chicago Style Manual and The Elements of Style. I wanted to try, in as much as is possible, for an uneducated, unprofessional new writer to be able to convey feeling, thought and concepts to others. Clearly was not doing that as well as I thought I could by some of the questions I was getting from my beta group. Short story long I realized, to my horror, that there were conventions to writing that I was ignorant of. What I had acquired from doing a life of reading was something that seemed to be common sense and practical, but I did not realize the underlying principles. And I quickly stopped at the library to look at some well-known authors to assess the impact of what I would call, historically correct verbiage, common to authors of the last 50 years. I concluded that I was going to be better at writing in attempting, as much as my creative side would allow, following these road signs to productive communication. I came to that conclusion because I quickly realized that radio communication has similar rules for important communications that have no room for confusion and ambiguity. When a combat air controller is talking to a combat pilot there isn’t time for a Q & A, for repeats and for further clarification. Both must know in the clearest of terms what is meant and what actions result – lives are at stake. My results may not be reproducible or similar to yours. I do use a little passive voice and too many fragments and every day I fight with ‘that’, ‘your’, and ‘you’re’ – hopefully I’ll get better. But, Lord help me if I can equate all that to a political philosophy, although I did have a Latin teacher whom I often considered Hitler’s sister! As one who writes for business all day long and then switches over to fiction after work, I’m constantly at the mercy of style guides and editors. I can whine about how complicated and confusing the English language is or I can buck up and do the best I can to learn the rules and deploy them correctly. I want to shine. Bravo for this piece. You made my writer and editor hearts happy. I’m sure you get the picture. Maybe we are headed toward anarchy anyway. Your second paragraph – “Whether one’s convictions are adept or absurd, however, one must accept the incontrovertible fact that although one is free to write in any style or manner one chooses, this choice has consequences.” – is applicable to many, if not all, forms of human interaction. Just substitute the word ‘do’ in place of ‘write’. And I appreciated the poetry in your phrase “let your unfettered freak flag fly”. I always thought Ms. was an abbreviation for Miz. LOL The point is, some people notice the details, and if writers mess with them too much, some readers will be lost. If that’s okay with the writer, so be it. But many of us prefer to get as much right as is humanly possible, which is why we subscribe to blogs like yours. I cringe every time I see the period after Dr in Dr Pepper’s product. Not being a native Texan, I didn’t know the product didn’t include the period in its trademark until someone pointed it out. Now I notice it every single time. On the issue of whether “Ms.” is an abbreviation: I submit that it is an abbreviation for Mistress, just as is “Mrs,” and is much closer to the original meaning. “Mistress,” in its original usage, applied to unmarried as well as married women, and did not convey information about the marital state of the person so addressed.” Mrs.” entered use to represent only the married portion of those women addressed as “Mistress.” “Ms.” now is the abbreviation closest to the original meaning; it also conveys no marital information. Fantastic article! It’s very true that you need to be somewhat conventional in your writing if you intend to write for a living. Additionally, it is always a good idea to become familiar with the style of the readers for an individual piece the ensure that your “style” will match their expectations as closely as possible (of course, without committing any absolute grammatical violations). A two letter title of respect that caused distress. I still think the rule book is very valid, especially when the world is reading. I wonder if this person thinks traffic lights are fascist? My New American Standard Webster’s (1972) defines fascism as “a strongly nationalist regime characterized by regimentation, rigid censorship, and suppression of opposition,” and a fascist as “a supporter of fascism or a believer in its policies. adj. reactionary or intolerant.” I can find no definition of “rule” that necessarily fits the definition of Fascism/fascist above, as aptly pointed out by many previous comments. Grammar rules in themselves are neither reactionary nor intolerant, they simply record accepted or preferred usage. My chief complaint, however, is the frequent tendency for people to label everything they disagree with on the right as “Fascist” and/or everything they disagree with on the left as “Socialist” or “Communist,” without regard to what those terms actually mean, leading to fuzzy thinking. 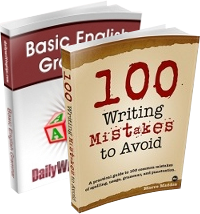 I find that most grammar rules help me clarify my thinking so that I can convey the meaning I intend. Although I don’t agree with every jot and tittle of your comments, I do enjoy the Daily Writing Tips, and pass them on to some new English writers of my acquaintance.